Happy 5th birthday to Mo K-F, a miniature pinscher. 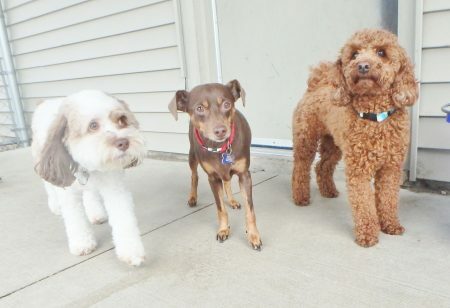 She is pictured here with her pals, Fuzzy M, a miniature poodle, and Wicket K., a cavachon. We had a great time celebrating!